"26 While they were eating, Jesus took bread, gave thanks and broke it, and gave it to his disciples, saying, "Take and eat; this is my body." 27 Then he took the cup, gave thanks and offered it to them, saying, "Drink from it, all of you. 28 This is my blood of the covenant, which is poured out for many for the forgiveness of sins. 29 I tell you, I will not drink of this fruit of the vine from now on until that day when I drink it anew with you in my Father's kingdom." 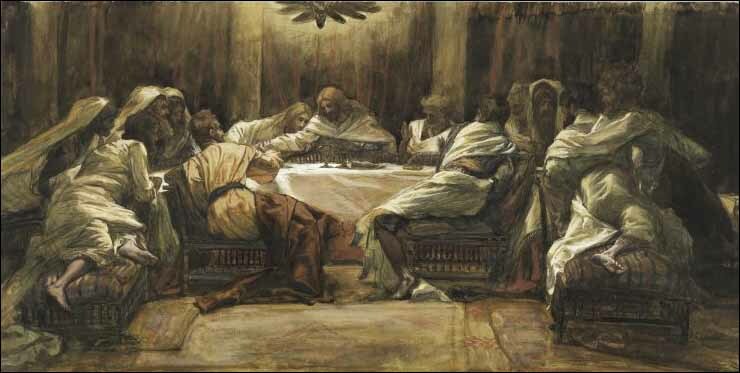 30 When they had sung a hymn, they went out to the Mount of Olives."